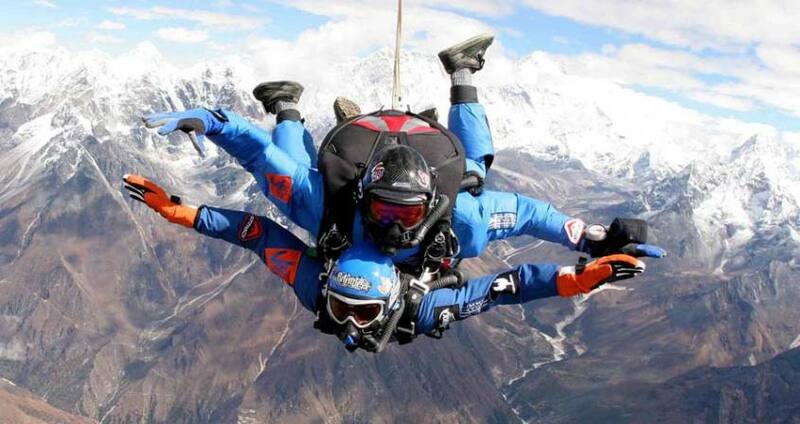 Skydiving in Nepal with Pink Mountain Treks and Expedition bring you top do skydiving in Everest region. Skydive in Everest is considered as one of most Elite Adventure Holidays in the world and therefore, remains a dream event for many Adventure Seekers who want to fill their limitless passion-pit with extraordinary zeal and thrill. Dropping off from a AS350 B3 helicopter from the height of 23000ft and landing at Syangboche Airport (12340ft) and at Amadablam Basecamp (15000ft) is undeniably the highest commercial aerial event in the world. CNN News Channel has ranked it as No. 8 out of 50 best Adventure Events organized throughout the world under the heading, “Try before you die” events. The adrenaline rush you get from the freefall, the eye-feasting view of the picturesque Sherpa settlement with the back drop of world’s highest peak Mt. Everest, along with other equally petrifying sister peaks, and the whole alpine experience can be a lifetime achievement. If you have the spirit of life and adventure, join us in this ‘Incredible Adventure’! Should you wish to further explore of the magnificent region, in which you have just had this unique experience, you have the option to join our ten-day extension trek to Everest Base Camp. Day 3Fly to Lukla & Trek to Phakding - 2,840m/9,315ftAn early morning scenic flight to Lukla. The mountain flight over to Lukla is one of the most beautiful air routes in the world culminating in a dramatic landing on a hillside surrounded by high mountains peaks. In Lukla, we will meet our camp staff and porters.After meeting our other crew members and with some packing and arrangements, we start our trek through the prosperous village of Lukla until we reach Phakding. Phakding lies on the main trade route through the area and there are a number of clean well-built lodges where we can spend the night. Day 4Trek to Namche BazarContinue up the banks of the Dudh Kosi, crossing it twice by small suspension bridges before reaching the village of Monjo where we will enter the Khumbu National Park. Cross the confluence of the Dudh Kosi and the Bhote Kosi on a high suspension bridge and climb steeply for about two hours to reach Namche Bazaar. 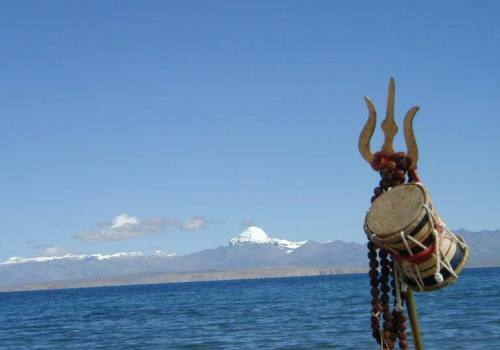 This is a prosperous trading town and the capital of the Khumbu region with genuine Tibetan artifacts. Day 11Fly to KathmanduYou can extend your trip in Nepal to explore the Jungle safari in Chitwan National park or Buddhist Pilgrimage trip to Lumbini, Birthland of Buddha or other part of Nepal's Trip or Can take your Flight to your destination. Day 12Fly out.Pink Mountain Treks and Expedition's representative will drop you at airport before Three hours of your flight schedule.